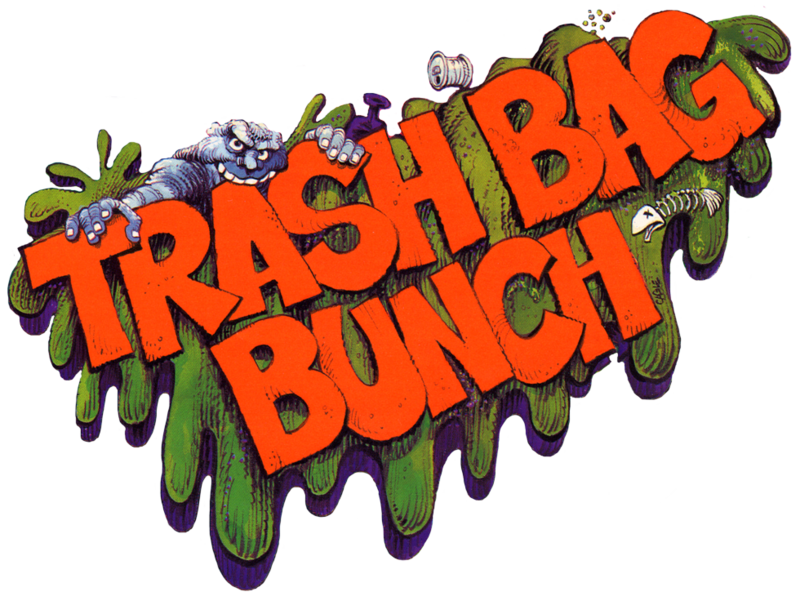 Copyright Acknowledgment: All images of The "TRASH BAGBUNCH"
The following obnoxious faxes were sent to us by Galoob in 1992. They show the work of an unknown but obviously “inspired” artist. I tried to decipher the signature and look him up on Google, without result. I’m not sure why I did that, as I don’t think I'd want to meet him. I don’t know about you, but I find these drawings really creepy. Something about them is unsettling; Hell raising creations, perhaps glimpsed in a nightmare, or inspired by the monstrosities invisioned on an LSD Trip-tyque by the Medi-evil Master of Macabre, Hieronymus BOTCH. 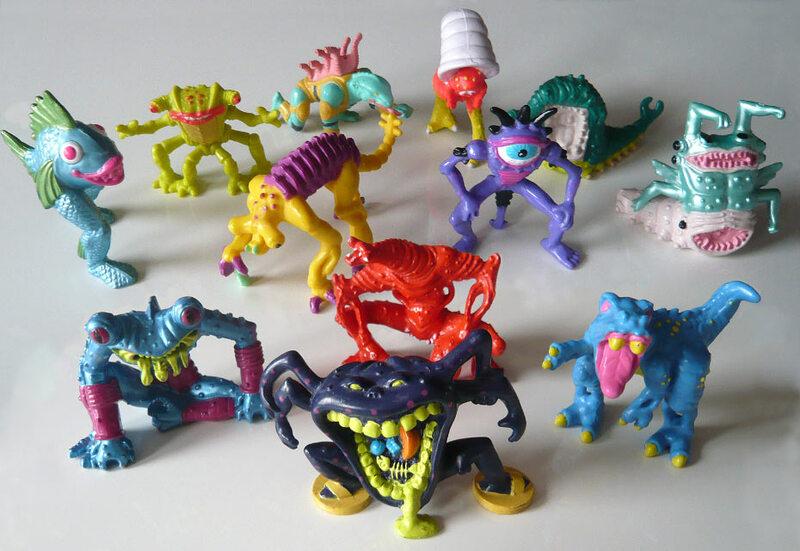 In spite of the disturbingly revolting quality of the drawings, once they were sculpted in a smaller size and painted in goopy candy colors they turned into some really intriguing and attractive figures. I “borrowed” these images of the second year figures from a young collector in Europe, who posted them on a forum. My thanks and apologies to him. I never did see these in person.